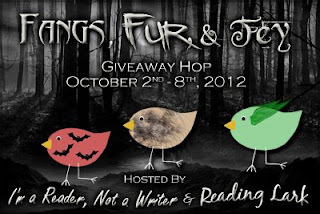 The Fangs, Fur & Fey Giveaway Hop has begun. This hop runs from today through midnight on October 8th, has over 140 blogs giving away some book(s) pertaining to fangs, fur, or the fey, and is hosted by I Am A Reader, Not A Writer and Reading Lark. These books are for the Kindle only and our contest is open Internationally so if you are entering, make sure you have a Kindle and an Amazon account so we can gift the books to you through Amazon. Isaac Mayfair is hiding a dark secret. 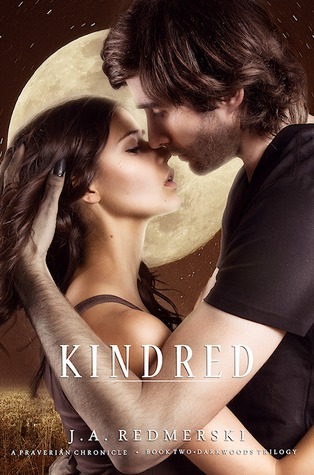 And just when Adria Dawson thinks the worst of her life among the werewolf world is over, she learns the secret that can rip her and Isaac’s love apart. Adria must come to terms with what the truth means for her. What it means for her life and how much time she has left to live it. She must choose between two different fates, neither of which can offer life as a certainty. As if Isaac’s betrayal isn’t enough, Adria learns that there are things out there older and more powerful than werewolves could ever be. An archaic entity known only to few as the Praverian, unlike anything Adria has ever known or heard of. Due to MATURE YA content, this book is recommended for 17+. Thanks for the giveaway. I'm stopping by for the hop.